On Tuesday the Carmelite Library received a visit from the Chief Curator (Conservateur General) of the Bibliothèque nationale de France (BnF). Jean-Dominique Mellot is in Melbourne to give this year’s Foxcroft Lecture at the State Library of Victoria. The lecture, entitled ‘Policing the Parisian book trade in the Age of Enlightenment’, reflects his central interest in the history of the book, and more especially the French book. M. Mellot was being shown around town by the scholar and bibliophile in French culture, Wallace Kirsop. Jean-Dominique Mellot has also written in Carmelite history, most significantly his two-volume work which we hold in the Library, ‘Histoire du Carmel de Pontoise’ (Desclée de Brouwer, 1994-2005). This book, he told us, was written after an approach by the municipality of Pontoise, a commune on the outskirts of Paris, as one means of preserving the ancient Carmel from sale and development. His efforts have been successful: the threat to the foundation has been resolved. Pontoise is the oldest discalced Carmel in France, established by Marie of the Incarnation (“La belle Acarie”) in 1605, during the long period of religious upheaval in that country. The first Carmelites to live at Pontoise were Spanish Teresians, themselves none too keen to venture into such a dangerous environment. The convent’s later restoration after the Revolution of 1789 makes it one of the longest surviving religious houses in France. Conversation turned to library matters. One of M. Mellot’s main challenges is to pull into line the immense rare collections of the BnF. As Chief Curator he is Chef du service de l'Inventaire rétrospectif à la Bibliothèque nationale de France. This means that one of the central tasks is cataloguing, the kind of specialist cataloguing required for such material. He said that something like 30% of early imprints lack a firm date, one of the essential requirements of historical research, not least in the subject of religion. He is in the process of devising charts to map the lifespans of publishing houses – sometimes an eon, sometimes just a flicker of time – in order to match when different works, or impressions of works, were likely to have been published. I reminisced on Australia’s own Early Imprint Project (EIP) of the early eighties, a much more manageable endeavour than that facing M. Mellot. The idea was to record all books published before 1801 held in Australian libraries, a collective snapshot of a nation’s holdings. I asked if the turn of the nineteenth century was a useful cut-off date when defining an early imprint. 1830 was the sharp reply, the moment when the hand press started being taken over by industrial machine printing. In a fitting and mannerly way, we bewailed the sudden closures of religious houses, more especially the rapid disposal or dispersal of their precious libraries. This seems to be as common in France as in Australia. With the stroke of a pen, or just the stroke of midnight, valuable collections built up over decades can be removed by a religious superior, without consultation or thought. 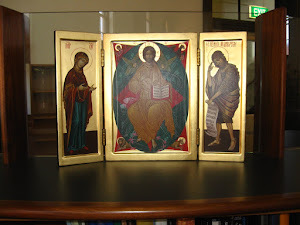 The Carmelite Library’s donations policy was put in place to catch some of this precious heritage, rather than letting it vanish into oblivion. The French have the same idea, though of course on a vastly grander scale. Their religious houses are brimming with books, manuscripts, and archival materials vital to the historical as well as the spiritual record. M. Mellot spoke of legal deposit, France being the first country in the world, under King Francis the First, to establish this practical collecting device and safety check on publishing and inheritance. The King signed the Ordonnance de Montpellier in late December 1537, coming into effect in 1538. Legal deposit is effective but never thorough. 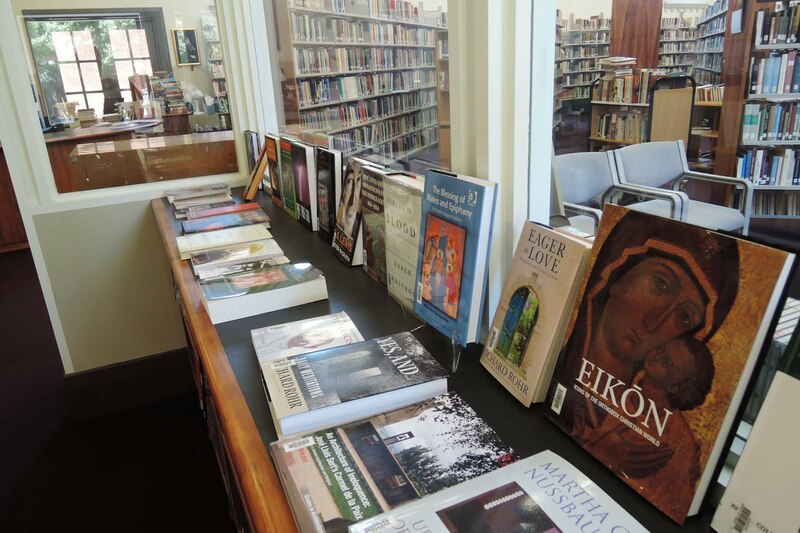 No library can hope to receive one copy of every published title. He good-naturedly complained of those through time who took books from legal deposit collections at the BnF, thus setting librarians today, himself included, the task of chasing lost titles through dealers, antiquarians, and other collectors. 1538 caught my attention, as that is the year of publication of the Carmelite Library’s oldest rare book, ‘Disputationes adversus Lutheranos per proloquia seu pronunciata caeteris eorum articulis opposita’, by the Carmelite of Ferrara, Giovanni Maria Verrato. This book was passed around, out of interest, as we considered that by 1538 people could argue all they liked with those wretched Lutherans, the horse had already bolted. From what I could grasp, it seems the BnF wishes to collect two copies of each title, one for general access and one for permanent storage. This means that even if the general access copy should go missing, there is still at least one print copy of the book in existence. This concern has become more, not less, pressing in our e-world, as the rapid changes in technology come with built-in obsolescence. Yesterday’s CD-Rom disc is unreadable without yesterday’s outmoded equipment, whereas the printed book is always readable, and always available for copy in new formats. Preservation of at least one copy of a title is my objective when insisting that the same practice be upheld within the University of Divinity libraries, of which the Carmelite Library is one member. The University has free access to a wealth of specialist literature from all centuries of the print era. We need to be sure that these titles do not vanish out of the system. All of this collecting leads to one overwhelming question: space. The BnF is currently rebuilding at Rue de Richelieu. After his Australian tour is completed, M. Mellot returns to Paris and the immense tasks of mapping the publishing past and renovating for the library’s future.